A version of Microsoft Office designed for Apple's iPhone and iPad is now expected to arrive on the iOS App Store in early 2013, offering free document viewing, while a subscription will be needed for editing. Details on the rumored software were revealed on Wednesday by The Verge, which also obtained screenshots of the software and other details from "several sources close to Microsoft's plans." The "Office Mobile" application will be a free option available on the iOS App Store that will require a Microsoft Office account. Included in Office Mobile will be Word, PowerPoint and Excel support, while those with an Office 365 subscription will be able to edit documents. Office Mobile is also expected to come to Google's Android platform, though it will debut on Apple's iOS first. An Office 365 subscription will reportedly be available for purchase through the application, meaning it will comply with Apple's in-app purchase rules for App Store content. Wednesday's report said the subscription will allow for "basic editing" in the application, though it "won't go very far in attempting to replace regular full use of a desktop Office application. 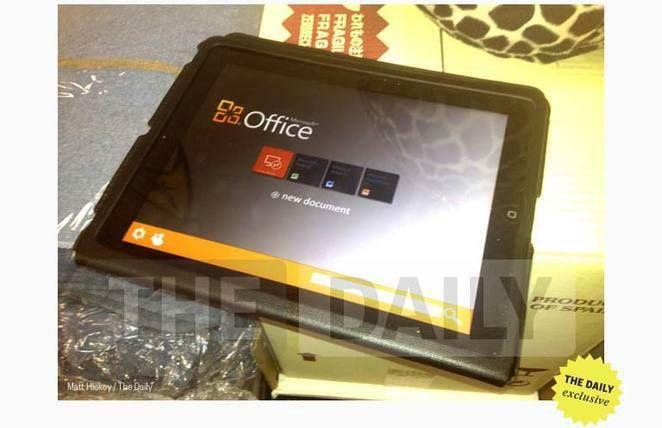 Those who do not purchase an Office 365 subscription will still be able to use the free Office Mobile application for iPhone and iPad for basic viewing of documents. Last month, a Microsoft product manager in the Czech Republic indicated that the new version of Office for iOS could arrive as soon as March of 2013. A spokesperson for Microsoft declined to give a date, only saying that its Office suite would "work across Windows Phone, iOS and Android." Rumors of a version of Microsoft Office for iPad have swirled for the past year, and a picture claiming to show a screenshot of the iPad application surfaced this February. One report from late May pegged a specific release date of Nov. 10 for Office for iPad, but recent reports suggest that date will not be met. AppleInsider also learned earlier this year that Microsoft was working on a new native iOS application for Outlook Web App, called "OWA Mobile Client for iOS," that will offer compatibility with Exchange 2012 mailboxes. It, along with a new version of the Lync application for iOS, will reportedly feature Microsoft's Metro interface, just like Office for iPad is expected to do.